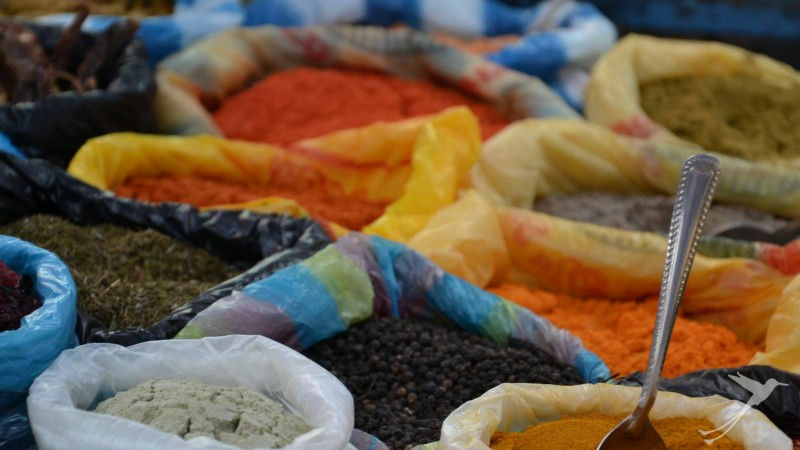 Spices, food, jewelry, leather bags, belts, scarfs, and other clothes in every imaginable color – you can find all of this at the huge indigenous market in Otavalo. It is a daily market held on Poncho Square, but on Saturdays it also expands to the small streets around the main square and covers a big part of the city. Look at all the colorful stalls but also close your eyes for a few seconds and be overwhelmed by the incredible variety of scents. Get lost in the small alleys while admiring the amount of different handicrafts which can be found as far as the eye can see. However Otavalo and its surroundings have far more to offer. So if your bags are too heavy to carry them around or your wallet is empty, drop everything at one of the city’s beautiful hotels or hostels and make your way to the waterfalls of Peguche. You can either take a bus for 15 minutes or walk the whole way in about 45-60 minutes. The waterfalls are considered a sacred place and are sometimes used as a site for various rituals by the indigenous people of the surrounding villages. If you want to explore more of the beautiful landscape around Otavalo, the next day you can start another adventure and attempt the almost 9 mile (14 km) hike around the famous Cuicocha Lake in the Cotacachi-Cayapas Ecological Reserve. 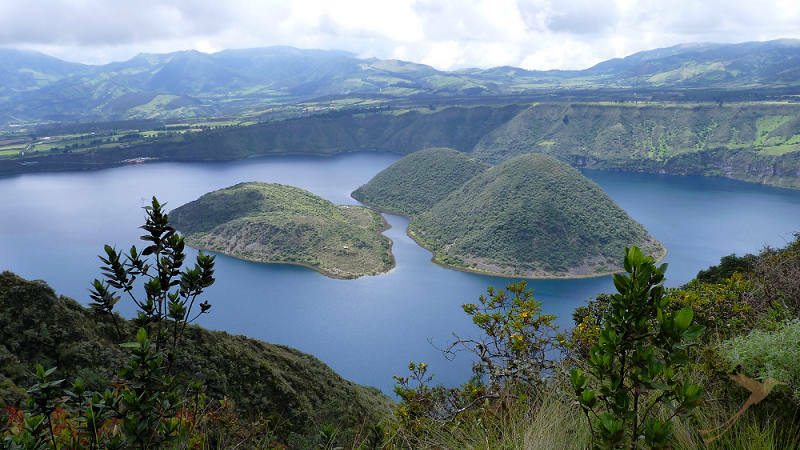 The lake is located at the foot of the Cotacachi Volcano and measures a depth of almost 150 meters. Although the hike takes about five hours, the effort is definitely worth it. You get rewarded with amazing views of the lake and the two islands in the middle of it. Head back to Otavalo for the night and go to one of many bars or clubs to treat yourself with a cold drink that you definitely deserve after such exciting days. Does Otavalo sound like your thing? 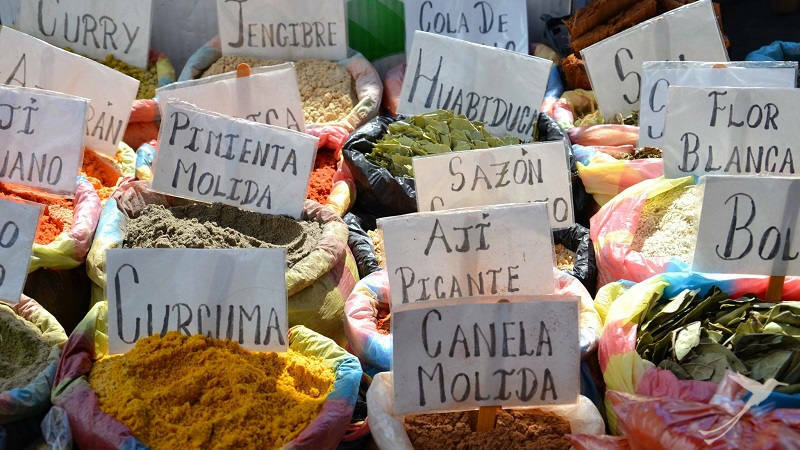 Then try our Hacienda Tour which includes a visit to the market among many other things.